What is a Tennessee Quit Claim Deed? Tennessee Quit Claim Deed: What Is It? 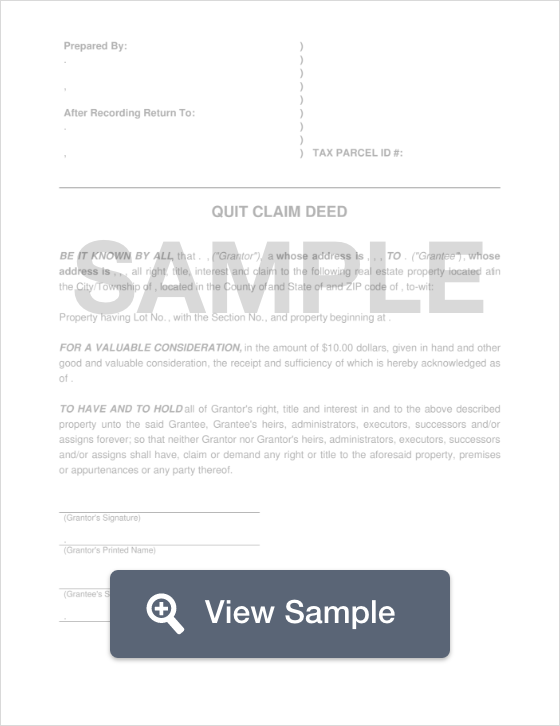 A Tennessee Quit Claim Deed is a legal document conveys property from a seller to a buyer in an expeditious fashion. This document provides no guarantee that the property title is free of encumbrances and that the seller has the legal right to sell the property. Quit claim deeds are often used for property transfers between family members or in divorces where a certain property is transferred to one spouse as part of the divorce agreement. Regardless if the property is being transferred from a spouse, or being purchased from the county, it is recommended that the buyer conduct a title search to look for any potential problems after they receive ownership interest on the property. Tennesse Law describes that a quit claim deed must be either notarized by a Notary Public or signed by the seller of the property in front of two witnesses (§ 66-22-101). Once one of these criteria has been met, the document must be filed with the Register of Deed’s Office along with the proper filing fees (§ 66-5-106).